"In BiH today there is a number of children who do not attend primary school for different reasons. Since primary education is compulsory by law, the question is - how is this possible, and why do some children in BiH never enrol in primary school? In order to find an answer to this question, we have conducted a local action research to understand the size and causes of this phenomenon. We expect that the findings and recommendations as presented will contribute to developing more efficient programs to reduce the number of children and youth outside of school systems", noted Aida Behrem, Executive Director of the Association “Žene sa Une”. "This research confirms that we have taken a good course in the planning of this intervention. We have qualitative and quantitative data that have identified early school dropout as a problem in the target communities. 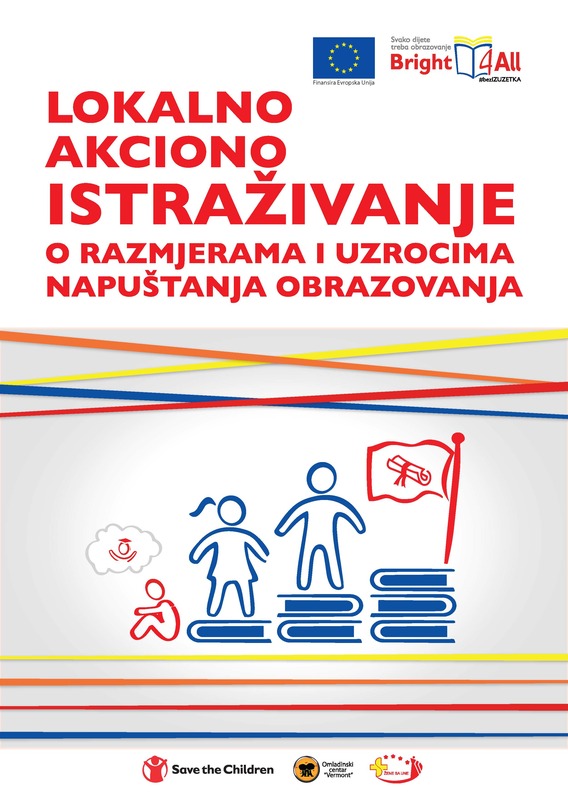 The information collected indicates the reasons for which children and youth leave the educational system in BiH. A number of factors have been identified to facilitate interventions in selected communities. Based on these factors, relevant activities may be planned in every community to ensure an adequate response to the issues identified and provide support to all children to help them exercise their fundamental right to education", said Andrea Žeravčić, Country Director of Save the Children NWB. "This research is of major importance because it has helped us identify the categories of children who leave school or are at risk of school dropout. All activities implemented under this project seek to resolve this problem, by first identifying and recognising it, then by working with the target population to reduce the problem. I am confident that this project will have good results and that we shall be able to bring about significant change in our society", said Damir Radenković, Director of the Youth Centre "Vermont". The project Bright4All – Basic Right to Education for All Children in Bosnia and Herzegovina aims to identify the causes of school dropout, offer data on the size of this problem in five target regions (Una-Sana Canton, Tuzla Canton - FBiH, Prijedor and Bijeljina - RS and BiH Brčko District), warn as to the absence of a systemic approach to this problem and initiate systemic solutions to prevent early school dropout among children from vulnerable groups.